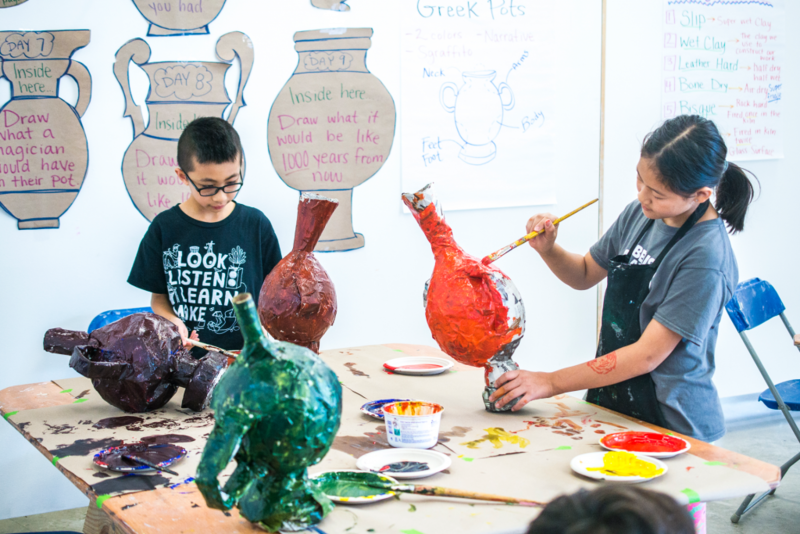 Spring Break Art Days offer a creative environment to explore art and design using Cranbrook Art Museum’s amazing collections! Open to grades K – 4th, each day focuses on a different theme and cross-disciplinary, hands-on projects. 2019 Spring Break Art Days are Monday, April 1st – Friday, April 5th (9am – 3pm). 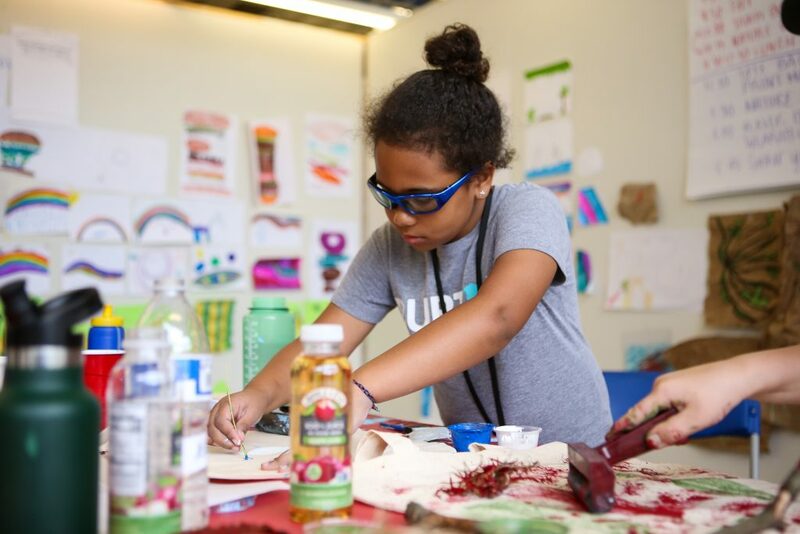 Ages 4 and 5 can join us for MINI Spring Break Art Days – half day camps offering art projects from 9-11am. 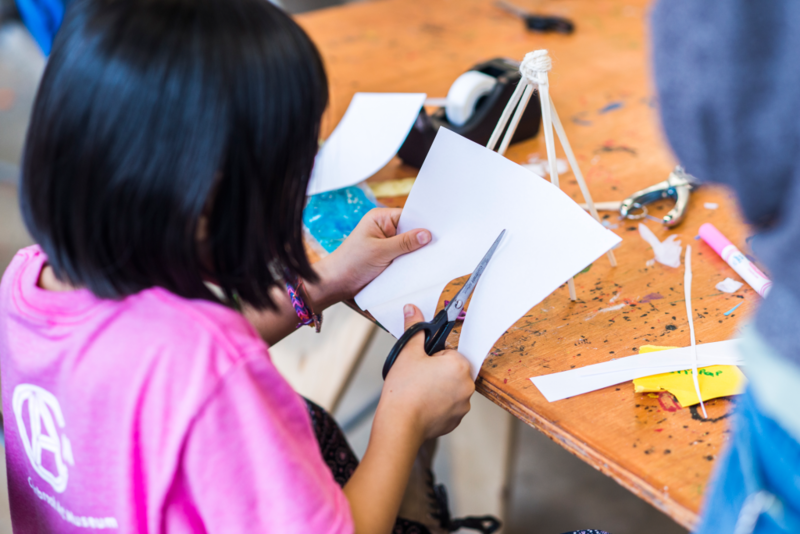 Is your kid thinking about Create Camps? This is a great way to try a mix of single day projects to see what piques their interest! Explore the world of colorful hues, tints, and tones! Learn about color mixing in many different mediums and techniques – dyeing, painting, and printing! Construct architectural structures, figures, animals, mobiles and other assemblages in our Sculpture Studio. We’ll play with clay and build with reusable material, learning about form, proportion and design! 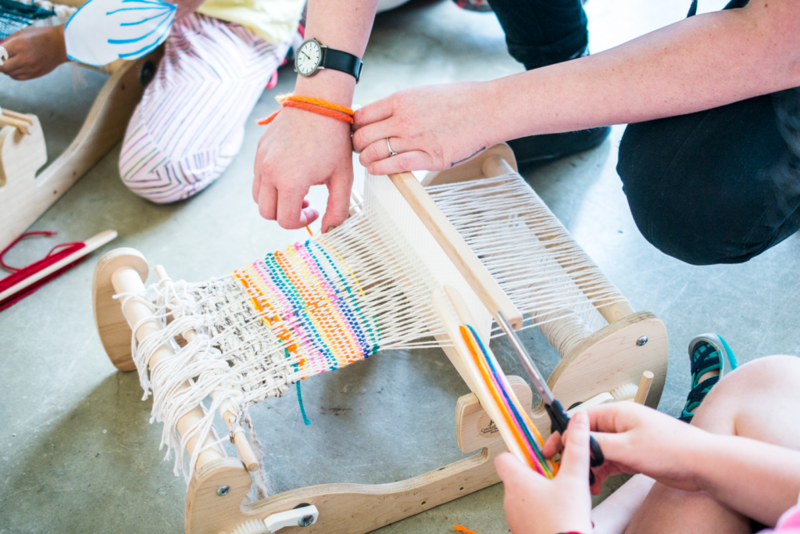 Create wearable artworks, from masks to capes, bangles and baubles. You’ll leave camp in costume created from a range materials. Take a closer look at figures in art – who they are, what they look like, and what’s their story? We’ll write, draw, paint and sculpt inspired by faces in our museum vault. Learn from masterpieces of modern art including Joseph Albers, Roy Lichtenstein, Bridget Riley, and Andy Warhol. Create artworks inspired by their techniques, colors, shapes, and scale. Half-day camps meet for two hours (9am – 11am) with a short snack break. Full-day camps meet from 9am – 3pm and include supervised lunch and time outdoors.